The year 2017 was not overly kind to our public lands in the United States. Due to plans put into action by the Trump administration and its Republican Congress, our public lands are slowly getting smaller and more costly to visit. Below, Ranger Mac will take a closer look at the actions taken in 2017 and dive into what exactly these actions will do to our public lands going forward. It’s our responsibility to safeguard these beautiful lands for future generations and the wildlife that inhabits them. The Interior Secretary, Ryan Zinke, stated that the administration would not get rid of national monuments entirely. While that sounds fine, he went on to state that he intends to significantly shrink the size of many of them. By the beginning of 2018, the biggest hit to the size of a national monument was that of Bears Ears National Monument. Zinke wants to cut the area of this protected land down from its original size of 1.35 million acres down to a shockingly restricted size of 160,000 acres. This is a huge hit to some pristine, beautiful public land. Not only that, it’s also land that holds a large significance to Southwestern Native American tribes. 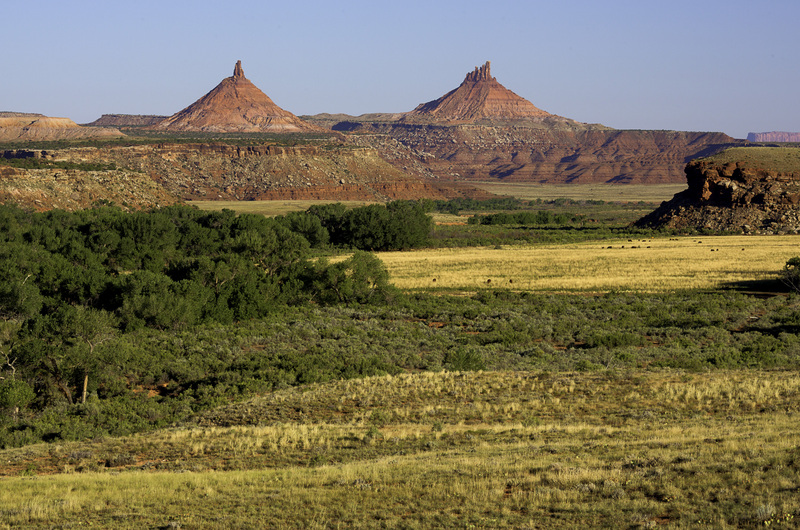 Bears Ears will soon be at risk for development, exploitation, and mining. When the Trump administration rolled out its fiscal year budget, it showed that the National Park Service and the public they serve will take a large hit. What does this mean? There will be a higher public cost to get into these parks and monuments, as well as less funding to keep the lands clean and protected for the people who visit them. It will also affect many jobs for people such as park rangers. Thousands of jobs will be lost. Visitors' services will be cut. Campgrounds and other facilities for public use will be closed. Natural and cultural resources will be damaged or destroyed. Facilities, roads, and other structures inside the parks will fall into disrepair. Important projects in the parks will lose funding. All of these detrimental issues and more will occur, the health of our public lands will not fair well, and those who love to take adventures there will be severely restricted. If you’re not sure what the importance of public lands and national monuments is for American citizens, check out Ranger Mac’s blog here for more info. Officials inside the administration silenced the National Park Service (NPS) Director, Michael Reynolds, on social media. He spoke out against the new legislation that would allow hunters to kill bear cubs inside their dens as well as prevent the NPS from regulating commercial fishing within the national parks. The administration then went on to actually forbid Park Service officials from even commenting on development projects outside the parks that would negatively impact the parks if completed. They also told these NPS officials that they were no longer allowed to post about any detrimental park policies on any social media. What does all of this mean? This administration and its Congress are taking all means necessary to take apart our public land and sell it off piece by piece, leaving smaller traces of our National Monuments and Parks for the generations to come. Not only that, but they are silencing park staff from speaking out about important environmental issues that could have far-reaching effects for the future! Along with the attempted silencing of National Park Service officials, the current administration also went a step further and removed climate experts from the tour of Glacier National Park's melting glaciers. It’s clear that our public lands and those who work to protect them are in jeopardy if any more legislation is passed at the expense of public lands. There is more at stake than the shrinking size of some of our National Monuments here. We are at stake of losing land that makes this country great and holds so much history! We’re also losing funding that helps educate the public on conservation efforts as well as the ability to continue those conservation efforts. Please take the time to contact your local government office and let them know that taking away our public land and turning a blind eye to conserving these great lands is not okay. Ask them what they plan to do about it, and ask them if they plan to support the National Park Service. Get out there yourself and see what makes these National Parks and Monuments something to treasure before it’s too late!